Drones are accessing the economy in multiple areas with great speed bringing great opportunities. The Drone-based economy is creating jobs as well as technological and business innovations. The 1st EU Drone Awards of the 5th European Young Innovators Unconvention were held at the European Parliament on January 2017. Also the Innopitch 2016 has given young entrepreneurs the chance to turn their ideas to reality. The aim of EYIF was to bring a unique new competition to Europe where the competitors have a chance to work with the key players of the drone industry, who were also invited to the event as strategic, network, technical or content supporters. The competition had three categories which were: Best “Drone Manufacturer”, Best “Drone-Based Solution” and Best “Emerging Drone Company”. Starship Technologies: Estonian company, who built the first autonomous delivery robots that allow the user to choose when their package should be delivered, preventing missed deliveries. Flyedo: Czech company, whose drones are able to flight up to 70 min with lifting different payloads and in addition the drones contain rescue parachute system to ensure the safety. Microdrones: German company, building robust and performant drones and offering flying platform for applications such as Mapping, Public Safety & Security, Civil Protection, etc. Inkonova AB: Drone solutions for underground operations mitigating sensory and inspection capacity. Clear Flight Solutions B.V: is preventing the collisions between airplanes and birds, preventing environmental damage and death of birds in oil&gas industry as well as the crop loss in agriculture because of the birds. Airbus Defence and Space in partnership with CATEC (research centre) and University of Seville: are solving indoor positioning and localization system as well as autonomous navigation of drones in cooperation with human worker. 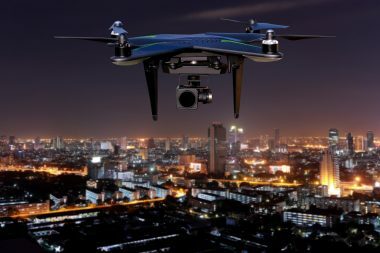 Unifly UTM: capable to register, identify and monitor drones in the UTM airspace giving accurate instructions to drone pilots and operators of where they are allowed to fly. Skysense: gives enterprise customers advantage to have always up-to-date information layer with autonomous drone inspection improving the operational safety, reliability and affordability. Flyability: offering drones which are able to fly in confined spaces and also in contact with people, solving the collisions due to its’ surrounded cage with decoupled inner frame using a gimbal mechanism.